An important step in the LDS Mission Call Process, and one that is the focus of much anticipation for the future missionary as well as family and friends, is receiving the mission call letter. After you’ve fill out your mission papers and submitted the application, it is a very anxious few weeks that you have to wait before finding out where you have been called to serve. And while those few weeks may seem like an eternity, eventually that envelope will arrive from church headquarters. Some of you will choose to open the mission call packet in private, in your bedroom, or perhaps you’ll get away to somewhere in nature. Many of you will gather around with your close family, and others will open the packet in the presence of a large number of family and friends. 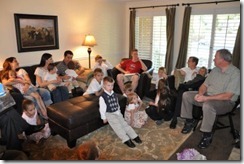 Many will even have a virtual gathering, over the phone or using video conferencing, as they open their mission call packet. However you choose to do it, opening and reading your mission call letter will bring many feelings: spiritual confirmations, excitement, and tears of joy. 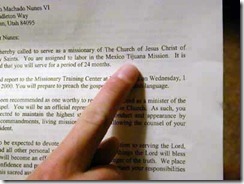 When you open your call packet, the first letter you will see will be the call letter from the prophet. It will be addressed to you and will say, “Dear Elder or Sister _______, You are hereby called to serve as a missionary of The Church of Jesus Christ of Latter-day Saints. You are assigned to labor in the _______ mission.” This is the point where people tend to erupt into cheers and tears. Once you’re able to continue, the letter will go on to tell you the language you will be speaking during your mission, and it will tell you where and when to report to the Missionary Training Center. 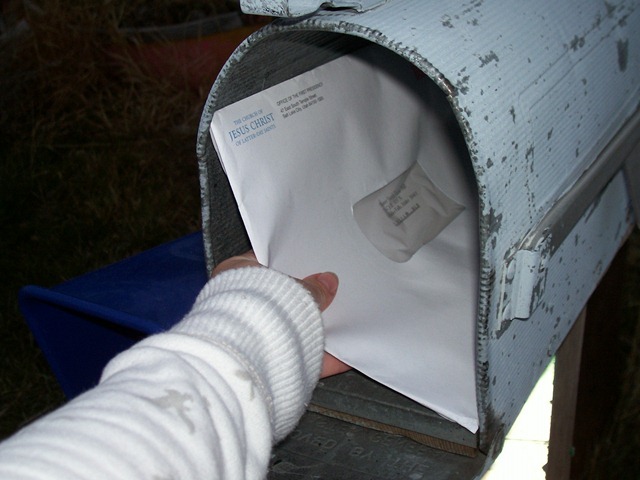 The letter will tell you your purpose as a missionary, “to invite others to come unto Christ by helping them receive the restored gospel through faith in Jesus Christ and His Atonement, repentance, baptism, receiving the gift of the Holy Ghost, and enduring to the end.” In the letter, the prophet also will ask you to work to become an effective missionary, to remain worthy, and he will mention some of the blessings of faithful missionary service. Finally, the letter from the prophet asks you to send a written acceptance letter, and then it is signed by our living prophet, the president of the Church. Another major piece of your mission call packet will be a welcome and orientation letter from the mission president with whom you will be serving. He will express his testimony of mission work and his gratitude for your choice to serve a mission. He will express his joy and congratulations that you will be joining his mission and be engaged together in the greatest cause in the entire world. He will remind you that, as a missionary, you will become an ambassador of the Lord Jesus Christ. He will encourage you to continue reading the scriptures and preparing spiritually, including acquainting yourself with the Preach My Gospel manual. He may tell you a little about the people and places of your mission and encourage you to learn to love the people where you will serve. He may also have mission-specific instructions, in addition to those general instructions you will receive from Church headquarters, such as clothing that may differ from the norm due to weather conditions in your mission. In the mission call packet, you will also receive instructions and a congratulatory letter from the president of the MTC where you will be receiving your missionary training. He will also express his gratitude for your decision to serve the Lord, and his excitement about your arrival to the Missionary Training Center. He will advise you of medical issues that need to be addressed prior to your arrival such as getting a seasonal flu shot. 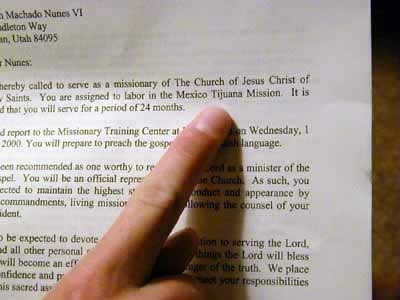 The letter will almost certainly discuss MTC arrival times, transportation, and other information you will need to know about getting started on your mission. There will also be information such as your mailing address and email address, as well as contact phone numbers and web site addresses you can get more information. The General Instructions Checklist will tell you the things you need to do right away, and things you’ll need to do before entering the MTC. It will advise you to complete any medical tests, treatments, and dental work before entering the MTC, including obtaining all required vaccinations outlined in the medical information section of the call packet. It will advise you to continue to prepare spiritually through prayer, and scripture study, especially studying the Book of Mormon. It will instruct you go to the temple to receive your endowment, and receive a patriarchal blessing, if you had not previously done those items. It will advise you of clothing, luggage, and other items to bring on your mission, and to get a missionary hair cut before arriving at the MTC and to be sure to show up in missionary attire. There are slight variations between missions, and your mission president will advise you if that is that case, but for the most part, the clothing each missionary will need to bring is pretty standard. Of course you will need luggage to carry your clothes and personal belongings. Mormon missionaries are suggested to bring 3 pieces of luggage that follow these guidelines: Two large suitcases (that you could check at the airport) and one smaller bag (a carry-on). 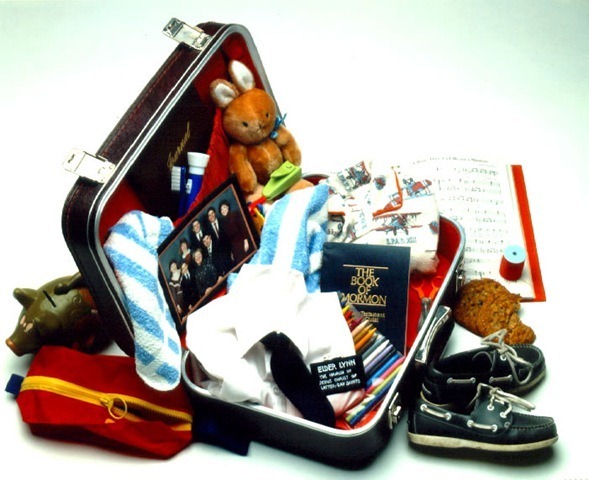 The first, larger, checked suitcase should be no larger than 62 dimensional inches (height plus width plus depth), and no heavier than 70 pounds. The second piece should be no larger than 55 dimensional inches and no heavier than 70 pounds. The smaller, carry-on bag should be no larger than 45 dimensional inches. 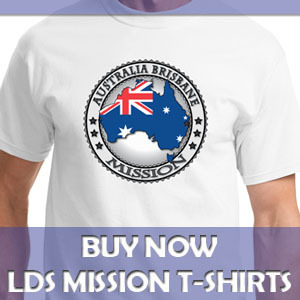 For more information, see missionary clothing needs and what should I bring to the MTC?. All together the packet can be a dozen or more pages depending on your mission and circumstances. There is frequently included a short biographical sketch of the mission president and his wife, an outline of behavior expected of missionaries, guidelines for getting ready for the mission, a section on missionary dress standards, medical requirements, a map of your mission, a short description of the area in which you will serve, and Church contact information if you have further questions. No matter where you are called to serve, remember that missionaries are called by God through prophecy and revelation to our living prophets and apostles. It is an extreme privilege to serve as an ambassador of our Lord and Savior Jesus Christ, and to represent his true Church on the earth today, and to be an instrument in His hands to bring people into His fold for their eternal salvation. The only thing that was more exciting than receiving my mission call was the arrival of my daughter. My mum works for the post office and bought the call home with her. We opened the call instantly and although the mission was only a 3 hour drive away from my front-door I instantly new it was where I was meant to be. I agree with David. Wherever you go, you are meant to go. My brother was called to Brazil, but is not able to go because of Visas. He is needed to stay out of Brazil for a reason, Lord knows. I’ve lost the blank letter form acknowledging my acceptance of the call anywhere in cyberspace to get one? Any other help is much appreciated. yaa i lost mine too. what do i do? Yes if you log into missionary portal online you can accept the mission call. 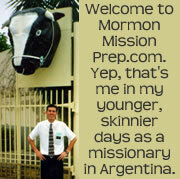 Please note that the “Missionary Call Packet” does not always include a letter from one’s Mission President; they are very busy with the stewardship of hundreds of missionaries. My call did not include such a letter. In fact, I have yet to see one in any of the calls received by my friends. Additionally, there was not a letter from the MTC President either. However, there were plenty of guidelines from the MTC, which answered all my questions. Incidentally, there is a welcome letter from the Quorum of the Twelve Apostles. I am waiting for my call, and I hear it usually takes about 2-4 weeks. However, after the new age announcement at General Conference, how do you think it will affect it? My papers got to salt lake about 4 or 5 days ago. Does anybody know? It depends on where you live. My papers got to Salt Lake yesterday, and since I live in AZ (not too far away), it should be no more than 2 weeks. Ask your stake president, he should know. My papers have been in for 3 weeks and 2 days now. And my call letter was sent on the 26th of October so it’s been 9 days in the mail. It says 7-10 days to get here and tomorrow is the 10th day so it should be here tomorrow 🙂 Ridge Anderson, the new announcement wont effect you, at least it didn’t with mine. You can still expect to have it between 2-4 weeks! You shouldn’t have a problem waiting more than 2-4 weeks. They say there were 4000 application “started” not “submitted.” My application was submitted by my stake president on October 26th and I got my mission call on November 9th. It took EXACTLY 2 weeks. I got called to serve in the Brazil Sao Paulo Interlagos Mission! I am so excited to serve. I will have to report straight to the Brazil MTC in Sao Paulo, but not until March. I heard the Provo MTC will be packed, especially this summer. Hope your calls get here soon! I know how anxious you are! My brother served in the Brazil Sao Paulo Interlagos Mission! I’m sure you’re in the field by now, but I hope you have a blessed experience like my brother did! I’m waiting for my call, it should be here this week! It was submitted by my Stake President on April 4th, so it’s been 2 1/2 weeks! I can’t wait! Hey! My papers were sent to Salt lake 8 days ago, im crossing my fingers it could get to me on christmas eve,making it exactly 10 days but i know thats a little early. I knew someone whos came 10 days after sending it in, does that happen often? I dumped my boyfriend for the mission. It was the best decision I have ever made. The Lord told me it was better to go than get married. Men are such pigs anyways!!! My papers were sent last year december, till now(march 25th 2013) am still waiting. I beleive all things are working together for my good. Thanks anyway for giving me something to think on with my family on the requirements for my missionary journey. I’ll go where God wants me to go. I belong to the church of Jesus Christ od Latter Day Saints. My beloved second son is coming home tomorrow after 20 months in the mission field, dealing with persistent health issues. After much prayer, consultation with SLC, doctors, us, and his caring mission president, he’s determined that he’s done all that his Father in Heaven expects of him. Although I expect that he will, at times, find himself thinking “I failed – I didn’t finish,” I am sure that he has, and he is sure that he has, and in the spirit of D&C 6:22-23, we will be prepared to remind him that the Lord once spoke peace to his mind concerning the matter, and that he can have no greater witness than that of God. SO I just thought I would share a very rare experience… My papers were sent to Salt lake 3 weeks ago, the assignment was made 6 days ago, so my family and I all assumed that my call was in the mail. I got a hilarious phone call from my Stake President last night informing me that they put my name on the wrong mission call and sent it out to me. After realizing this it was too late, so they just fixed it and went out the right one. So I have two mission calls coming to me in the next week, the first of which I am suppose to shred. (That’s going to be a hard thing to do because i want to keep it for the scrapbook) Then the real call will be right behind it, by a day or two. As far as I know this RARELY ever happens, but it can and does, and honestly, with every setback that has happened with my papers, I was not surprised AT ALL by this news. 🙂 Just thought I would share! My friend received his packet with the wrong introductory letter. It was the letter for another young man with the same last name, but spelled slightly differently. He thought it was unusual that they would misspell his name. Then he read that he was going to Idaho (I believe – or somewhere similar). Idaho is wonderful of course, but for a kid from Utah, the real call – to Hungary – was a bit more exciting. The letter from the mission president and all the mission information had the correct spelling of his name, and correct mission assignment. As you can imagine, the video of him reading the call is priceless! I passed my medical review this Tuesday but the system is not updating it. Could I get my call next week? Hi, my application was received by salt lake on 25 November,2014. My bishop checked and it is showing “I process”. What does it mean? I’ve been assigned for a week and a half now and I’m still waiting on my call to come in. How long does it take for it to get to NZ once you’re assigned? i have been trying to send an acknowledegment letter online, i have been having troubles doing that. should i send the one in the book given to me? Does the missionary portal tell you your assignment? Should I not look at the portal before I get my call so I don’t see where I’m going before I read from the letter? My husband threw away the general instructions checklist booklet (the booklet with the man getting baptized with the navy blue binding) without realizing that I wanted to keep it for my son’s memory box. Do you know if I call the missionary department, will they send me a new one that is just like the original one that we received (includes my son’s name, date, mission map, mission address etc.)? Please explain to us how to access the missionary portal. Nothing is coming up. We have been on here for 1 hour and can not find anything. My son’s call came yesterday and he wants to accept. I submitted my documents to the stake October 26th 2015 ..December 2015 I was informed that my haemoglobin level was low .. Did the test again and its now OK ..submitted the new haemoglobin report January 4 2016 .Today is January 19 2016.. Who k ows when my call might come?? Can you tell whether your call is foreign or stateside based on the thickness of the envelope? These cards can be discovered inside chests you earn by winning competitions. Raymond, There is probably a problem if it is taking that long. Have you talked to your bishop or stake president? Your application could be held up at church headquarters for some reason. Or perhaps the papers weren’t really submitted on June 25. Perhaps that’s when you gave the paperwork to the stake, and it could have been weeks later before they submitted them. I would talk to your leaders and see what you can find out. What can we do? we move and and the new tenans return the mail and they return my sons call letter. My papers got to the Church Headquarters last October 21, 2016, by that time its status was currently ‘ready for assignment’. I am feeling both anxious and excited every single time I am thinking about my call, I wonder when it’ll come? So I have been waiting for my mission call to arrive in the mail sense February 20th and it’s been almost a full month. It said my call was assigned march 8. I just wondering how come i haven’t received my mission call in the mail yet. I know some people who put there mission call the same time as me and have gotten there a couple weeks ago and another person who put there papers in a week after me and got there call already. What should I do? That does seem a little odd that you haven’t gotten your call in the mail yet. But I wouldn’t be too worried yet. How far away from Salt Lake do you live? If the call was assigned on Wednesday the 8th, it is likely that it didn’t get mailed out until the following Tuesday, the 14th. My mission call showed up on my mission portal before I even received my letter!! The status still says “ready for assignment” so I am very confused. Has this ever happened before?? It’s already 4 months now since I submitted all my papers. It feels like eternity indeed. Its been 7 weeks since my stake president submitted my papers and almost 2 weeks since my call has been mailed. I live in Washington State. Is it normal for it to take so long to be mailed? Could there be a delay in mailing my call? If anyone has any answers this would be of great help.